Jetzt unseren wöchentlichen Newsletter abonnieren und keine tAKiDA & Smash Into Pieces Veranstaltung mehr verpassen. Sooner or later, most bands worth their salt, make their definitive album. The one that takes them to another level. The one that they just have to play to anyone who’s around, because they’re so proud of it. The one that eliminates any doubt. A Perfect World is that album. “It does feel like an accomplishment”, singer/lyricist Robert Pettersson attests. “We’ve never had this much fun, and I think everyone can hear that”. Not that Takida are ashamed of their previous releases. Having formed 17 years ago, in the small town of Ånge in northern Sweden, they are already one of Scandinavia’s biggest selling rock acts and concert draws. The band took their name from the character Gohei Takeda in the Japanese anime series Nagarebishi Gin. 2006 saw the release of their first album “…Make You Breathe”. Their big breakthrough came a year later with the major hit single “Curly Sue”, and since 2009 the band always has headliner status in their native Sweden, selling out clubs, theatres and arenas, packed with their devoted and passionate Scandinavian fanbase. In 2014, Takida had released five studio albums and one greatest hits compilation. They had also performed successful co-headlining club tours around Europe. But somehow they felt that that their definitive album had not yet seen the light of day. The fact that “A Perfect World” self- assuredly towers above all their previous efforts, confirms that this was the case. Looking back, it’s probably good that Takida’s international break-through didn’t arrive five or ten years ago. 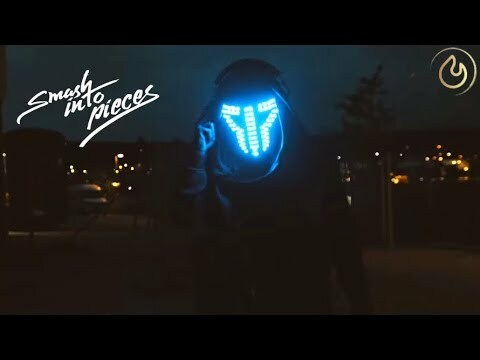 As one of Scandinavias most intriguing, mystical and explosive live acts – SMASH INTO PIECES (a.k.a SIP / Smash) with it´s leader: „The Apocalypse DJ” have caught the attention of the crowd live as well as on social medias. To execute skydives in live television, shine with his parkour-moves, dance like a crazy mother lover and to go out and save the world every other day is just a few of The Apocalypse DJ:s routines. 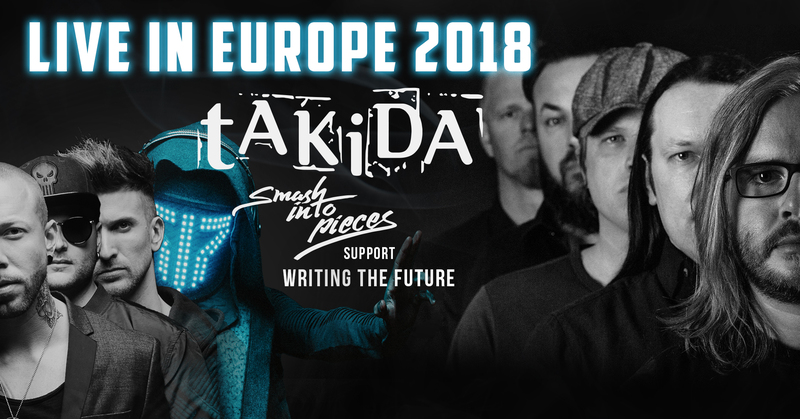 Now the four piece, alternative rockband from Sweden share the roads and stage with two amazing swedish rockbands: Takida and Writing The Future! The swede`s are coming to town!